The Sniper 400 is an unbeatable GPS tracker and quickly becoming the choice of all professionals when looking for a small yet powerful tracker able to be used with vehicles, assets or on a person. Delivered "ready-to-go" just switch the Sniper 400 on and it is tracking. It really is as simple as that. 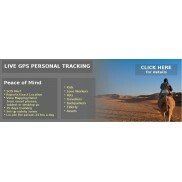 Just go to your mapping panel, log-in using your tracker ID number and password and you are viewing your live tracking on any computer. As with all of our live products you can access the mapping panel online and from any mobile internet device and capable phone. You choose how often the Sniper reports its position to the mapping display, from every 10 seconds and up. You can create “Safety Zones” at any location to initiate SMS alerts to your mobile phone when the tracker enters or leaves these areas and can export detailed reports of the trackers movements for your own or your clients’ examination and evidential use. Our Sniper series trackers include a new and truly amazing “Battery Saving Mode”. When selected the tracker will switch off and only wake up at your pre-determined periods. In this way you can attach the Sniper tracker to a valuable asset and have it report to you 6 times a day for close to 2 MONTHS between charges. In battery saving mode you still maintain control as you can command the tracker to jump back into full live mode on next GPS fix. The Sniper 400 GPS tracker uses AGPS (assisted GPS) technology which allows it to grab a GPS fix much quicker especially when switching on (cold start). 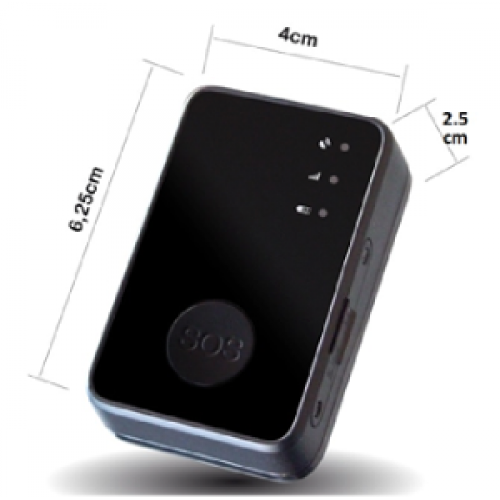 It is also equipped with a connection for an external GPS antenna (available as an option). This allows far greater adaptability when using the Sniper to track assets. You can tuck the tracker safely and securely inside the asset and fix the GPS antenna on or near to the outside of the asset, ensuring good GPS signal is available to the tracker. The Sniper 400 is ready to go. Open the box and you are tracking. 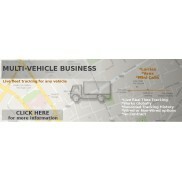 We even send it out to you live so you can track it to your door should you wish. The Sniper 400 is a very powerful GPS live tracker system that tracks superbly, allowing you to view its position from every 10 seconds and upwards. 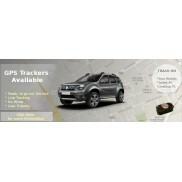 It uses a motion sensor to further extend the battery life of the tracker. When stationary for more than 30 seconds the tracker will allow its GPS module to fall "asleep", and hence reduce the overall power requirement of the unit. Once it senses movement again the tracker wakes itself up fully and provides an up to date location to its mapping panel. This ensures that the tracker provides the absolute last possible location report prior to entering a period of stillness/sleep. Location updates from the tracker to notify the mapping panel that it is "asleep" and "awake" will use one location credit. Even in "sleep" status the Sniper is always alert and waiting for commands from the user. The motion sensor has allowed the addition of a "movement alert" button on the mapping panel, which is a superb tool for those users who wish to be alerted when their asset being tracked moves off from a stop-over. The Sniper 400 data card will operate in most developed countries. We have also included 100 position credits and 25 command sms credits to get you going (valid for 12 months). Once your 100 positions are finished you can purchase more by simply clicking a button on your control panel or direct via this website.